Peace and political stability in Zimbabwe would also bring stability to its neighbouring countries, according to an analyst. Whoever wins the post-Mugabe polls between President Emmerson Mnangagwa and Movement for Democratic Change-Alliance’s Nelson Chamisa will have a mammoth task to improve the lives of Zimbabweans and place that country on the road to economic prosperity, a political analyst said. 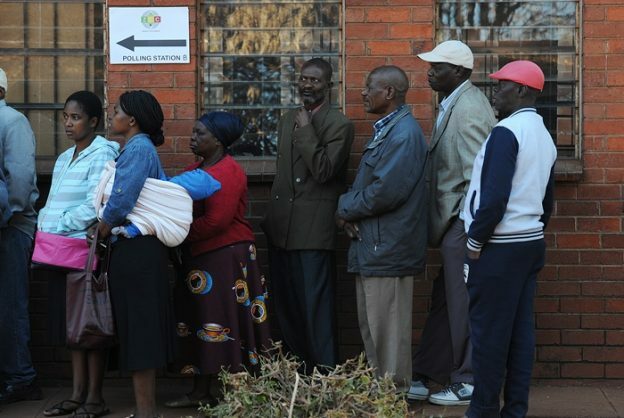 Zimbabweans voted for the first time yesterday since Mugabe was forced to resign, following an army revolt last year. The nonagenarian was in power for 37 years. The analyst said peace and political stability in Zimbabwe would bring stability to its neighbouring countries suffering the burden of economic migrants and asylum seekers who moved to the Southern African Development Community (SADC) countries. Most SADC countries were forced to harbour Zimbabweans fleeing from persecution by the Mugabe regime. “When your neighbour’s house in on fire, you help to put it out because the flames may spread to your house as well,” Mabera said. She said considering the latest poll, the two leaders were neck and neck, and the results were most likely to be a close call for them. Zanu-PF voters were happy that Mugabe was not on the ballot paper anymore, but the fact that Mnangagwa had a long history in the party and being a former close associate of Mugabe raised questions as to whether he would be able to bring about the democratic change that the citizens had been long yearning for, Mabera said.